Fire in a Lambeth Tower block hospitalises seven people. Overcrowding in London's rented accommodation is up 43%. Charlie Gilmour goes to prison. Houses of Parliament to get a very highly paid tourism officer. Rare Jane Austen MS fetches nearly £1m at Sotheby's. Ilford schoolgirl designs anti-bullying app. Finally, Happy St. Swithin's Day. 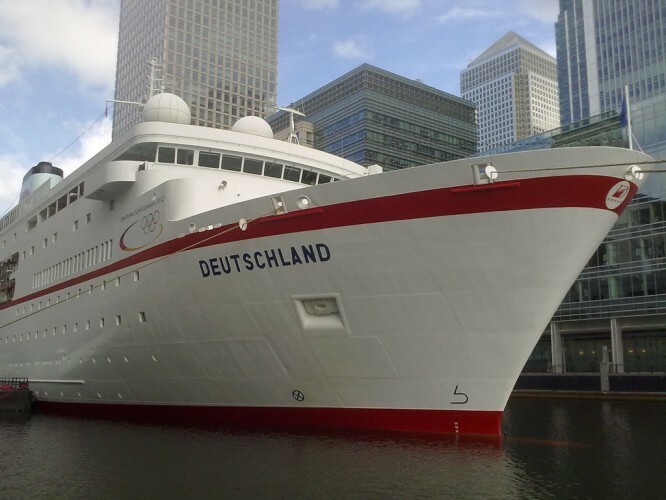 MS Deutschland visiting Docklands. Image by LoopZilla via the Londonist pool.